"Have you ever needed to batch rename a set of families or types in your model and wished you could dump the data out to Excel and import them back in? 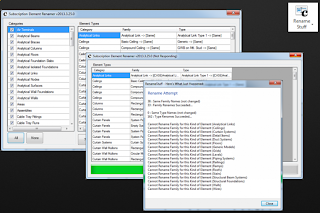 This tool supports exporting family and type names to Excel where you can make changes to the names in a separate column and then import the changes into your model. "This tool is only available under subscription."